. The extension can be simply activated from the Magento 2 admin panel, to display the option of this shipping method on the shopping cart page before checkout. With the help of this extension various shipping rates can be created. KENNESAW, Ga. - Oct. 17, 2016 - PRLog -- Thinking about the convenience, customers always need more options to choose from. Whether it is about products, services or profession or in any/everything. So, while they shop online, they want more options and variations in products and more options during checkout such as in Payment methods or shipping methods. And considering the more options for shipping methods, M-Connect Media has developed a new shipping method. 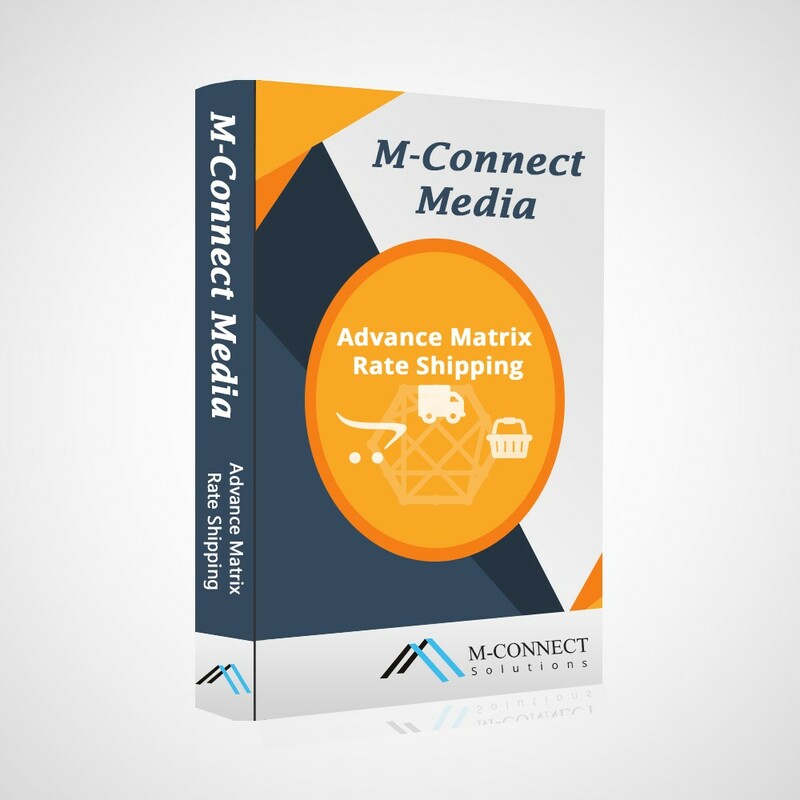 Kennesaw, Georgia, 17th October 2016 – M-Connect Media has launched a new extension for Advance Matrix Rate Shipping for Magento 2. This extension helps the shop owners to offer different shipping methods to your customers as per their destination/location. M-Connect Media offers multiple services for the eCommerce store with the most flexible and feature-rich Magento platform to help the eCommerce store to meet their business needs or goals. The Advance Matrix Rate Shipping extension enables the shop owners to make multiple shipping rates for their customers as per the destination, product weight, total order value and quantity of the product. In some cases, the customers are not satisfied with the options provided. It is like "the more, the better" for them. This saying goes well with the shipping methods offered for the shipment of the products to the customers. There are already many different shipping methods available with most of the eCommerce sites. But, the customers always need some personalized things. So, to offer them with more shipping options this extension is developed. The admin can offer them multiple shipping rates considering different aspects (destination, product weight, and total order value and product quantity). We had a talk with the spokesperson from M-Connect Media and asked him to shed some light on this extension. He said, "From a survey, we got to know that customers need more options to choose for shipping methods. Keeping this mind, we have previously created some extension for shipping methods. And this is the new extension in the list. This will help the admin to create more shipping rates depending on the location of the customers, weight product, product quantity and total of the orders. With this extension activated on the store, the customers will get the option to select on the shopping cart page and it will then show the cost of the shipping plus product before they move to checkout."